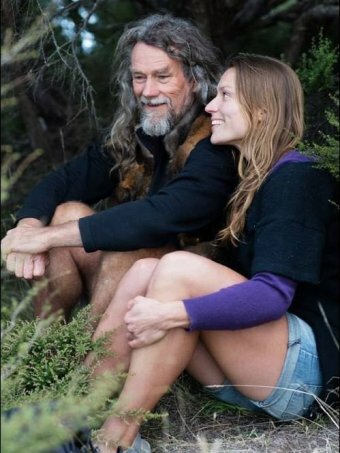 When Miriam Lancewood and her partner Peter set off to live alone deep in the New Zealand wilderness, they told their families they’d be back in a year. But the couple came to enjoy their nomadic, off-grid lifestyle — foraging for edible plants and killing their own animals — so much that they’re still living it, nearly a decade later. “It’s perceived as being scary but I see the wilderness as my home, so I feel very comfortable there,” says Miriam, who has written about her life in her memoir, Woman of the Wilderness. Miriam, who was born in the Netherlands, says there is freedom in her lifestyle, one that is “without time”. “We sleep when we are tired, usually when the sun goes down. When the first birds sing, we wake up,” she says. Ditching conventional living has brought significant struggles, but Miriam says it’s been worth it; she now feels deeply connected to natural beauty she once merely observed. “I thought, well, hunting will be a great success. 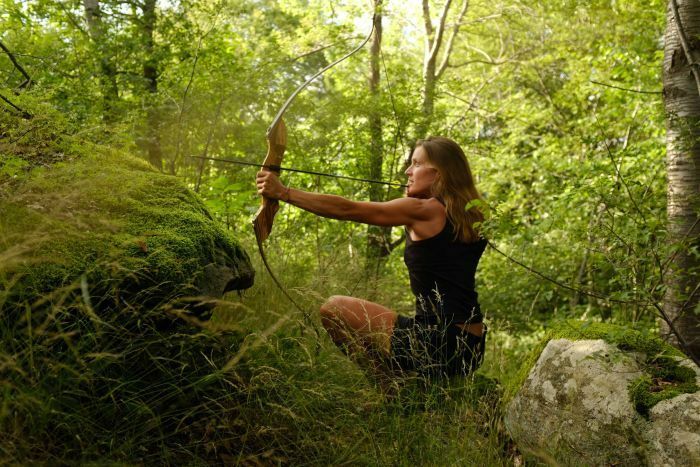 I’ll be little Robin Hood running around in the forest,” Miriam says. Miriam’s aim was excellent, but finding animals to target was hard work. “I was always like, ‘oh, no animal needs to die for me’. I was very judgmental of meat-eaters,” she says. “We got so cold that we were losing weight just by living, and in the morning we would wake up with hunger pains,” Miriam says. “Just getting through the night cost so much energy and so after a while — Peter was visibly losing weight — we said, OK, we have got to get onto this hunting. The first meat Miriam ate was possum, and the experience, she says, was “absolutely traumatising”. “I put the trap out and then one day we were very happy, there was a possum in there — a very cute little possum looking at me — and I thought, oh God,” she says. “When Peter finally cooked it, it was absolutely amazing. It tasted fantastic,” Miriam says. “[Wild] meat gives so much energy,” she says. After years of living in the bush, emerging only rarely for supplies like tea or flour, Miriam says she’s not the same person she once was. “The wilderness has changed me a lot,” she says. “In the mountains I feel very small. I am insignificant really, and my petty little problems seem even smaller,” she says. Miriam says “always walking into the unknown” was exciting, but also exhausting. “To live in a tent, waking up with the first light, adjusting to weather and seasons, hunting wild animals, makes me feel so alive,” Miriam says. “We sleep underneath a big tree and its branches are our roof. The thick layer of moss is like a soft carpet underneath our feet,” she says. “The river nearby is our drinking water, and there is always a little breeze that brings fresh air.